For every promising investment opportunity you come across, there are multiple opportunities for bad-faith brokers and hucksters to try to rip you off. It could be undisclosed commissions and fees in an annuity, unwanted accounts opened up by a banker seeking additional fees, trades sabotaged by market manipulators, or any number of other schemes. Rip-off artists, unfortunately, operate within the precious metals space as well. Most recently, a scammer posing as a government agent in order to gain people’s trust was convicted of selling counterfeit gold bars and phony Morgan silver dollars. He took one investor for $11,000, according to reports. You can avoid this type of scam as well as other common cheats when buying or selling precious by heeding the following guidelines. If a price on a bullion product sounds too good to be true – or comes with exorbitant incentives or exaggerated claims – you should be suspicious. Gold and silver bullion products do not legitimately sell below spot prices. Individuals holding precious metals can visit a dealer and sell items immediately, for full value. Given that everyone has this option, it is highly likely anyone offering items well below actual value is trying to stick it to you. Find a reputable dealer who offers prompt, reliable service, and fair prices. Customers who buy based solely on slick advertisements or low quoted prices risk getting left holding the bag when that dealer fails to deliver. Every so often a dealer will come along that tries to undercut the industry with super-low prices. Only a few years back a “low price leader” called Tulving & Company went bust. A similar blow up occurred at the Northwest Territorial Mint in 2016. In both cases, warning signs included delivery delays and rising customer complaints. A slew of customers ultimately lost tens millions of dollars when their orders went undelivered. Bottom line – receiving actual delivery of your metals is way more important than getting the lowest price! Take a few minutes to investigate a dealer’s online reputation before ordering. You should also expect the dealer to provide a firm estimate as to when the order will ship when the order is placed. Customer reviews for Money Metals Exchange are overwhelmingly positive for a reason. Regardless of whether you’re a new customer with a small budget or an experienced stacker, you can buy with confidence from Money Metals. You may be tempted to peruse sources such as eBay, Craigslist, or flea markets to try to find hidden bargains. But all to often, the only ”hot deals” being offered are from sellers with questionable or poor reputations. Auction sites, including eBay, charge significant fees to the seller. That means reputable dealers must charge very high prices within that platform – passing along the fees eBay charges them. Better prices are usually available by going directly to dealers outside of eBay. It is always better to know you are dealing with an established business with a reputation for fair dealing, rather than random individuals who can disappear in the night. With underground sources, you can spend hours researching, bidding, emailing, phoning, driving, and waiting… only to still be left worrying that the product you bought might be counterfeit, stolen, or otherwise not as described. Numismatics – coins that carry hefty premiums as collectibles – are a huge profit opportunity for dealers and scammers alike. Gold and silver bullion products do not legitimately sell below spot prices. so scammers love to peddle them. If you are a bullion investor, you are more concerned with the number of ounces you hold than the supposed rarity or aesthetic value of coins. 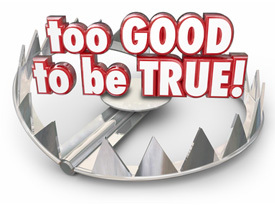 Sometimes the dealer is the scammer – making false claims about a coin’s history, for example, or engaging in “bait and switch” tactics and outright lies to steer unwitting customers into high-premium coins. There are prominent numismatic dealers that had paid for celebrity endorsements and TV commercials now face litigation over their dishonest sales tactics. The numismatic market also attracts forgers. There’s little incentive to tamper with bullion coins that sell close to melt value when the value of a numismatic coin can be hugely inflated by altering its grade or appearance slightly. Doing a bit of upfront due diligence to determine how – and for how much – you can sell the precious metals you are considering buying can help you steer clear of big mistakes. It’s not unusual to find a seller of so-called “rare” coins would only pay you 60% of your purchase price if you were to sell it back to them the next day. Most coins being represented as “rare” are not particularly scarce or desirable. They do not bring much premium above the value of their metal content when it is time to sell. Bottom line – avoid precious metals that are not actively traded. If the difference between the price you will pay to buy and the price you would receive to sell is more than 5-10%, you are likely paying too much. When the time comes to sell your bullion, the “cash for gold” sign displayed at your local strip mall represents a fast and convenient way to get paid a fraction of what your bullion is worth. Whether it’s a jewelry store, a pawn shop, or a scrap gold middleman, you almost certainly won’t be offered anything near fair value. If you negotiate aggressively, you might get closer. But you’ll almost always get a better upfront offer from a large national bullion dealer like Money Metals Exchange (which happens to have the best “sell to us” prices in America). Some coin dealers will offer more than others, of course. A small local shop that doesn’t carry much inventory may only be able to serve as a middleman for your bullion (and lower the buy price accordingly). Or they may not be able to make an offer at all. A large national dealer will be generally able to accept bullion in larger quantities and varieties – and with narrower buy/sell spreads. A precious metals stash will be at higher risk of theft if you don’t secure it. 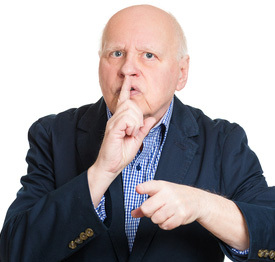 One of the very best ways to secure your gold and silver is to keep your mouth shut. Loose lips really do sink ships. A good home safe that is hidden from view and embedded in or bolted into concrete will go even further to minimize the chances of a burglary. It can also be a good idea to keep a separate, larger stash in a professionally secured storage facility. A bank safe-deposit box is not suitable for this purpose. Nor are pooled bullion programs offered by brokerage firms. A few years ago, MF Global lost clients’ gold when it co-mingled their assets with those of the firm…and the firm’s bad derivatives bets caused it to go bankrupt. Insist on fully segregated storage for maximum security. Money Metals Depository offers this service, as do a few other dedicated bullion storage facilities (albeit at higher storage fees than MMD). A dealer who is repetitively slow to ship orders is, at best, a poor operator. At worst, late shipments are a signal that the dealer is in serious financial trouble. They are selling inventory they don’t have and can’t pay for without waiting for funds to come in from future buyers. Very occasionally there can be legitimate reasons for a delayed shipment. 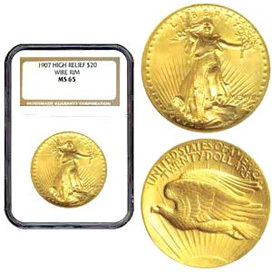 For example, there have been a few short periods in recent years when mints and refiners were not able to keep up with the huge demand for coins, rounds, and bars, and extended lead times for delivery were not uncommon. But reputable dealers will explain any expected shipping delay upfront, so the client knows what to expect. With the current glut of inventory in the market, however, there is no excuse for delivery delays at the present time. So if you do not receive prompt delivery, you are most definitily taking more risk by placing another order with that particular dealer. While performing your due diligence on a dealer, it is wise to look for regular customer complaints about late deliveries. The Better Business Bureau website is one good place to search for what people have to say. Stefan Gleason is President of Money Metals Exchange, the U.S. national precious metals company named 2015 “Dealer of the Year” in the United States by an independent global ratings group. A graduate of the University of Florida, Gleason is a seasoned business leader, investor, political strategist, and grassroots activist. Gleason has frequently appeared on national television networks such as CNN, FoxNews, and CNBC, and his writings have appeared in hundreds of publications such as the Wall Street Journal, TheStreet.com, Seeking Alpha, Detroit News, Washington Times, and National Review.